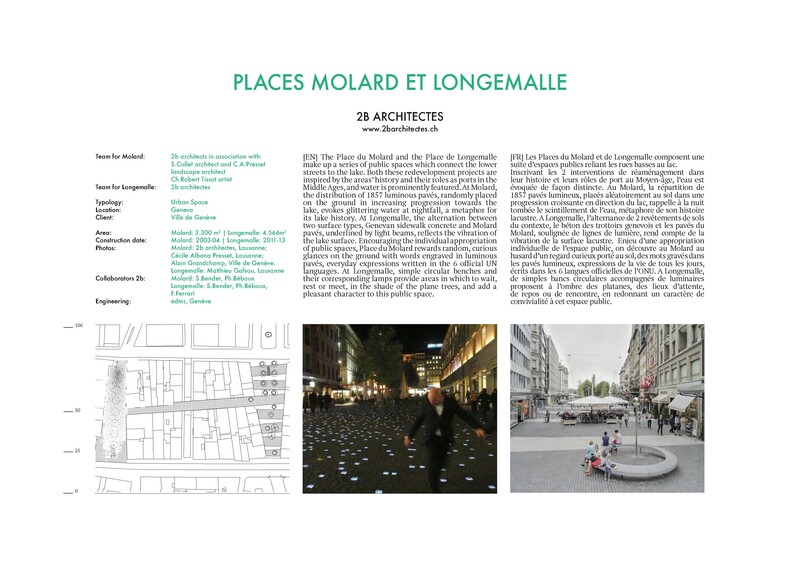 The Place du Molard and the Place de Longemalle make up a series of public spaces which connect the lower streets to the lake. Both these redevelopment projects are inspired by the areas’ history and their roles as ports in the Middle Ages, and water is prominently featured. At Molard, the distribution of 1857 luminous pavés, randomly placed on the ground in increasing progression towards the lake, evokes glittering water at nightfall, a metaphor for its lake history. At Longemalle, the alternation between two surface types, Genevan sidewalk concrete and Molard pavés, underlined by light beams, reflects the vibration of the lake surface. 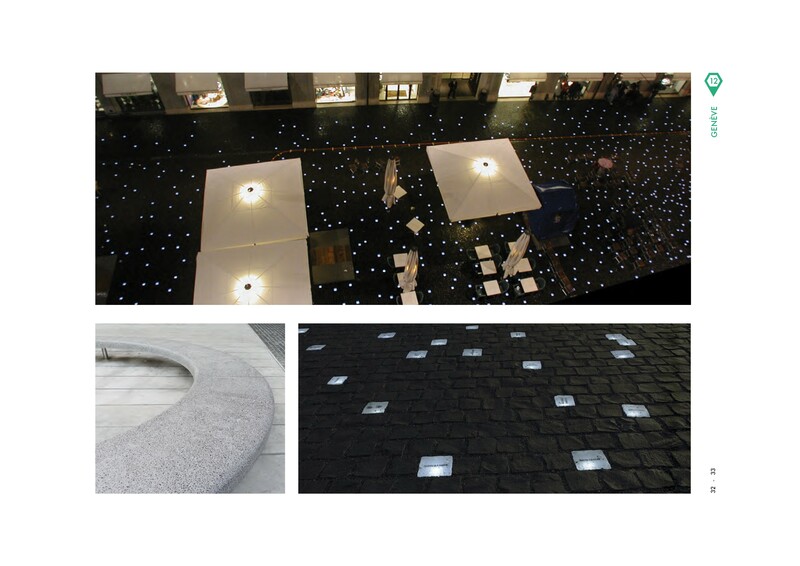 Encouraging the individual appropriation of public spaces, Place du Molard rewards random, curious glances on the ground with words engraved in luminous pavés, everyday expressions written in the 6 official UN languages. At Longemalle, simple circular benches and their corresponding lamps provide areas in which to wait, rest or meet, in the shade of the plane trees, and add a pleasant character to this public space.